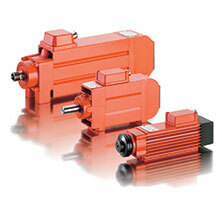 EMOD MOTOREN is a German manufacturer of high-quality AC/DC motors. EMOD has manufactured products worldwide from highly advanced 3D CAD programs and high-performance production technology. 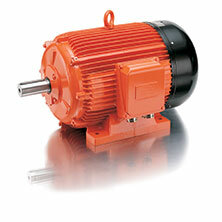 The product range of EMOD includes a series production of standard design motors as well as one-off specially design motors tailored to the exacting needs of the customer. At every stage of design, consideration is given to the specific requirements of the customer as well as standards for the EU and county of intended installation. For EMOD, the continuous chain of quality assurance begins as early as the development phase. Each model undergoes extreme testing conditions to ensure quality assurance and durability. 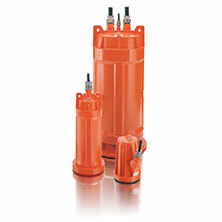 EMOD motors are the perfect industrial equipment that provides solutins in many industries such as automotive, packaging, material handling and logistics, and commercial equipment. Ability & Drive has provided industrial repair services, field maintenance and machine consulting for EMOD motors and components. Our technicians are highly experienced in troubleshooting, fault eliminations and turing of highly automated processes. We are prepared to perofrm on-site machine surveys for your EMOD equipment and provide customized solutions to return your product back to full use at the lowest possible cost. 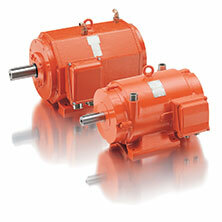 The product range encompasses motor powers from 0.06kW to 1700kW and can be used in a variety of applications depending on the customer's applications. Emod has 2 facilities in Bad Salzschlirf and Fulda Germany to meet all worldwide requirements. Their mission statement “To convince our customers with innovation, performance and Service”.